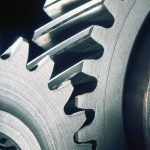 The following article provides an overview of the wear mechanisms of high-speed steel cutting tools, both coated and uncoated. 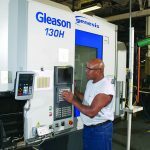 Metal cutting puts extreme demands on the tool and tool material through conditions of high forces, high contact pressures, high temperatures, and intense chemical attack by difficult-to-cut work materials. 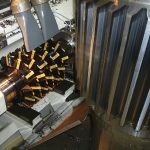 In addition, the tool geometry and cutting conditions in terms of sharp edges, cyclic engagement, and presence of cutting fluid will add to the severity. 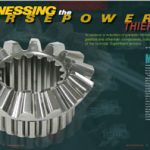 Most often cutting tools are used close to their ultimate resistance against these loads, especially to the limiting thermal and mechanical stresses. 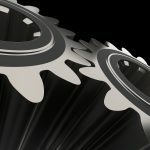 In spite of the increasing use of high performance tool materials—such as CVD and PVD coated cemented carbides, cermets, ceramics, cubic boron nitride, and diamond—high speed steels (HSS) are still frequently used in tools for metal cutting applications. 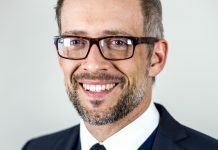 The relatively high toughness and the possibility of economic manufacturing of tools with complicated geometries still justify the use of HSS in many cutting operations. 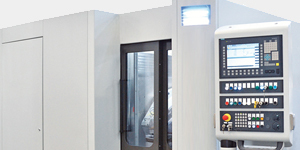 The introduction of powder metallurgical grades in combination with Electro Slag Heating (ESH) and Physical Vapour Deposition (PVD) coating technologies has further improved the performance of HSS cutting tools. 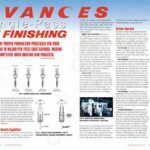 Since the successful introduction of the PVD-TiN coating in the late seventies, the academic research on HSS metal cutting tools has been concentrated to developing even better coating materials and techniques for their deposition. This paper is a brief overview of the mechanisms of wear of HSS cutting tools and includes illustrations from both uncoated and coated tools. 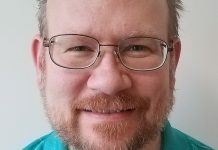 More details on the metal cutting process, the mechanisms of tool degradation, and the properties of HSS materials and their coatings are found in Refs [1-10]. 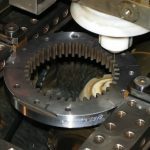 To understand the wear mechanisms in metal cutting it is necessary to have a brief understan¬ding of the severe contact conditions prevailing at the cutting tool/work material interface (see Figure 1). The common model illustrates orthogonal cutting, but it applies to any cutting operation including turning, milling, sawing, drilling, tapping, broaching, etc. Through plastic shear of the work material and sliding of work material against the tool flank and rake face a characteristic temperature profile is established. 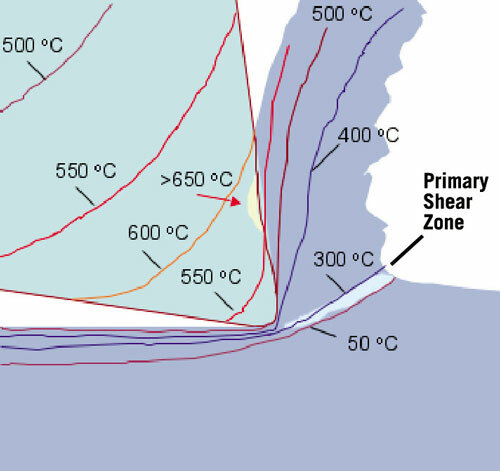 The principal heat sources are located at the primary shear zone in the forming chip and in the frictional contact between chip and tool (secondary shear zone), and the highest temperature is consequently reached on the rake face at some distance from the edge. To illustrate the forces and mechanical stresses acting on the tool edge in one picture is less straightforward since they change considerably with cutting operation and cutting parameters. In intermittent cutting they also may change completely from entrance to exit during the individual edge engagements. Generally the overall cutting force F is related to cutting speed and feed, as indicated in Figure 2. It is indicated that a low-friction coating can lower the cutting force, thereby giving a lower edge temperature, which can be utilized to increase the productivity. 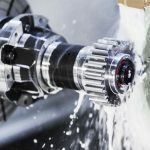 We know from the type of failure mechanisms that HSS cutting tools are used close to their limits of yield and fracture stresses (see section 6, and forward). Since the cutting edge is forcing its way through the interior of the work piece like a propagating wedge, both surfaces of the opened “crack” represent highly chemically reactive metal. The fact that there is no access to external oxygen or cutting fluids to this region means that there is no formation of oxide films or any other protecting interlayer. Consequently, the tool edge is also exposed to extremely severe conditions. A metal cutting tool must be able to combine high hardness (or high yield strength) with high fracture strength at elevated temperature (see Figure 3a). The latter is especially important in interrupted cutting. A high thermal conductivity is also a desired tool property since it will reduce the tendency to local thermal softening. The high thermal resistance of carbides, nitrides, and oxides indicates their potential as protec¬tive thin PVD or CVD coatings, but also their strengthening ability when present in the form of small particles in the tool material. However, they are also common as strengthening ele¬ments in most work materials where they contribute to abrasive wear (see section 6.1). High hardness is associated with brittleness, and strengthening metallic materials such as HSS by martensitic hardening, dispersion of hard particles, etc., of a metallic materials most often results in a material with a lower fracture strength as indicated by Figure 3b. Generally the work materials in metal cutting with HSS tools are macroscopically much softer than the tools (see Table 1). However, many work materials contain constituents—carbides, nitrides, or oxides—that are harder (HV 1500-3000) and more temperature resistant than the HSS matrix, as indicated in Figure 3a, and contribute to the tool degradation by abrasion. High toughness, large fracture elongation (ductility), and the ability to work harden all add to generate a high temperature during chip formation. 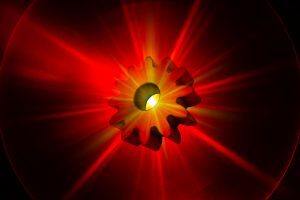 High temperatures reduce the strength of the HSS tool, but will also facilitate chemical reactions and possibility to form intermetallic phases between tool and work material. This will increase the friction between these materials and thus further aggravate the situation. 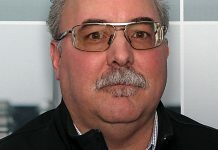 Another fact that has to be considered when comparing the mechanical properties of tool materials with those of work materials is that chip formation generally occurs by extremely high shear rates. 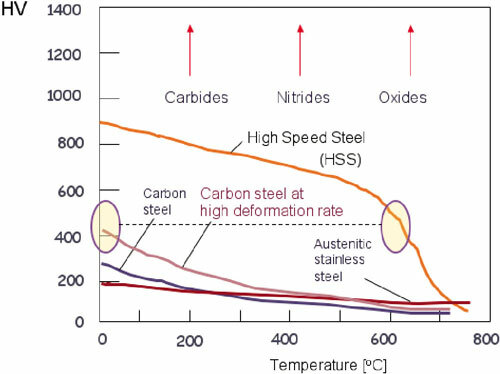 Taking high strain rate into account, the work material curves of Figure 3a are lifted up such that the corresponding RT hardness of a carbon steel may well match the hardness of the cutting edge at its working temperature, as indicated by the two ovals in this figure . 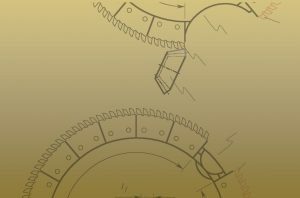 The illustrated situation is accentuated in intermittent cutting when a hot tool edge suddenly meets cold work material. Taking orthogonal cutting as a model the general characteristics of a worn HSS cutting tool are schematically illustrated in Figure 4. 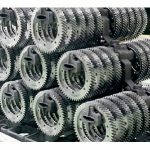 Primarily, depending on cutting operation, cutting parameters, work material, and tool material, the performance of the tool is limited by nose wear, flank wear, crater wear, edge chippings, or combinations of these. 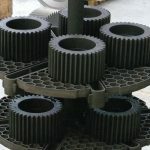 Depending on the same parameters, the wear either occurs gradually by abrasive or adhesive wear, through plastic deformation, by more discrete losses of material through discrete fracture mechanisms, or by combinations of these. Figure 4 shows illustrative micrographs from scanning and optical microscopy (SEM and OM, respectively) of used HSS tools will be used to demonstrate the wear mechanisms. Abrasive wear dominates the flank and crater wear of the HSS tool edge seen in Figure 5. The grooved pattern is a combination of the scratching action of hard particles in the work material, and the protection against scratching offered by the hard phases in the tool material. Behind large tool carbides, seen in the chip flow direction, there are typical ridges of protected tool material. The individual abrasive scratches are too small to be resolved in the picture. 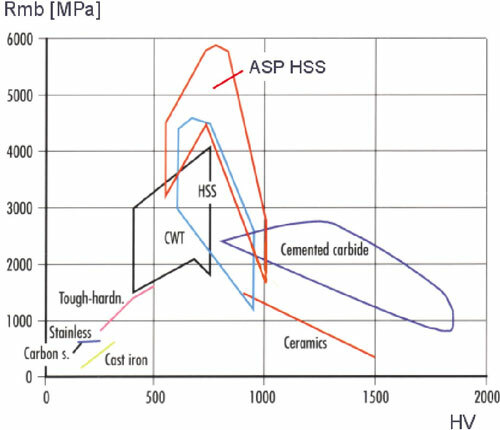 Abrasive wear is counteracted by a high yield strength (high hardness) and large carbide volume of the HSS. 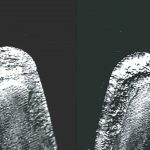 When viewed in low magnification the dominating wear mechanism of the milling tooth of Figure 6 appears to be abrasive, i.e. a ploughing action of hard constituents in the work material (carbon steel). However, higher magnification (Figure 6) reveals that it is rather a combination of abrasive and adhesive wear. This adhesive component, often referred to as mild adhesive wear, is a tearing of superficial HSS material by high shear forces resulting in a slow drag of the surface layer and removal of small fragments in the direction of chip flow. If the tool is used to its upper limit of heat resistance, severe adhesive wear may result as a large-scale plastic flow of surface material in the direction of the chip flow (see Figure 7). 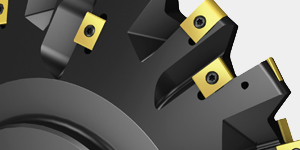 Adhesive wear dominates the flank and crater wear of HSS tools if the edges reach high temperatures, i.e. at high cutting speed. Adhesive wear is further promoted when cutting chemically aggressive materials. Sometimes the HSS tool edge is loaded beyond its yield strength and deforms by large-scale plastic deformation (see Figure 8), resulting in edge blunting. Macroscopic fracture of the whole tool can occur, but is a rather scarce event. More common is localized chippings of the tool edge (see Figure 9). Note that the chippings in (a) seem to be initiated by grinding marks running parallel to the edge. • Reducing the tool temperature by reducing the friction between tool and work material, especially between chip and rake face. The coatings combine a superior hardness (abrasive wear resistance) with relatively low chemical reactivity with metallic materials (low solubility), the latter giving protection against the welding mechanism that is the prerequisite for adhesive wear. 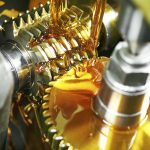 Consequently, most of the common PVD coatings of today fail by fatigue and discrete delamination/detachment rather than removal by slow gradual wear . 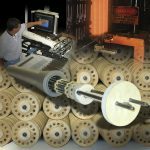 Once the coating is removed the wear mechanisms of coated tools are the same as those of uncoated, although more severe because more severe cutting parameters are normally used for coated tools. There are primarily two ways by which failure in HSS substrate preparation can occur: The surface temperature during grinding/polishing reaches above the austenitization temperature resulting in a brittle interlayer of untempered martensite (see Figure 10); or the resulting substrate surface is too rough (see Figure 11, Figure 12). Used as substrate for PVD coating, the untempered martensite in Figure 11 would constitute a brittle interlayer inferior to coating adhesion. 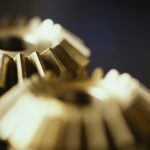 PVD coatings on HSS tools possess internal compressive stresses of the order of 1-5 GPa. Typically, TiN deposited on HSS has a lateral compressive residual stress of around 4 GPa. This stress acts positively for the coating cohesion, but negatively on its adhesion to the substrate. In combination with a rough substrate, excessively high compressive stresses may cause spontaneous detachment without any external loads [10, 12]. 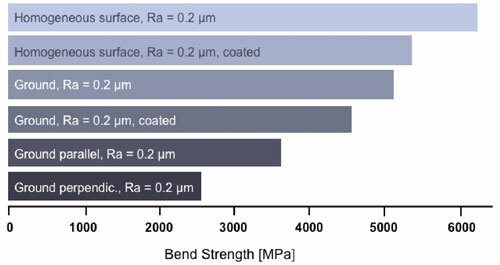 The reason is that lateral compressive stresses in the coating combined with a rough substrate will generate tensile stresses across the coating/substrate interface, as illustrated in Figure 11 . If such a system is externally loaded, coating detachment is facilitated along regions of maximum tensile stress, i.e. along the coarse ridges on the tool of Figure 11. These ridges are the result of a too-rough grinding process/incorrect grinding parameters. 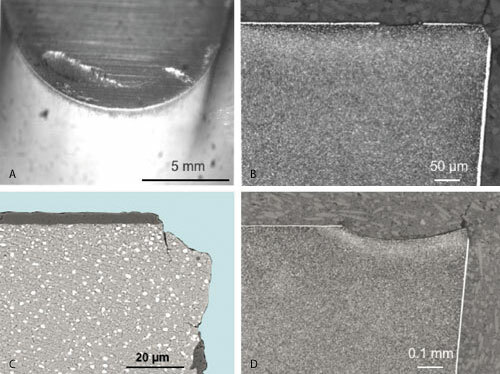 Another example of topographically induced coating failure is shown in Figure 12, where it also is indicated that cracks nucleated in the coating may spread to the underlying HSS material. Through fatigue they may later cause edge chippings and large-scale edge fracture. Once the HSS substrate material reaches a temperature level of excessive softening, it fails to resist the contact pressure and the brittle coating fractures (see Figure 13). Note the dark etching contrast underneath the coating, which reveals thermal softening due to over tempering. The coating fractures and individual fragments are then detached in the form of small fragments (see Figure 13). The macroscopic wear pattern of a cutting tool edge was illustrated in Figure 4. The mechanisms described above will eventually cause wear that exceeds the worn-out criteria, either as a certain width of the flank, the rake face, or as a certain edge blunting. 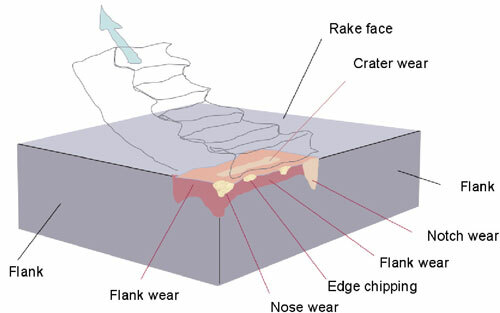 Figure 14 shows the development of a large crater in a TiN-coated hob tooth. The work material was carbon steel, and the wear that eventually controlled tool life occurred on the rake face. Initially, the hob teeth suffered from limited edge chipping (Figure 14). At the same time, thermal softening of tool material in the rake face (over tempering revealed by the dark contrast adjacent to the coating) reduced the load bearing capacity of the coating, which failed by cracking and brittle fracture (Figure 14), cp. Figure 13. Once the coating was removed, a large crater was rapidly developed in the unprotected HSS by severe adhesive wear (Figure 14). Irrespective of the location of the critical wear, its evolution can be illustrated as in Figure 15. 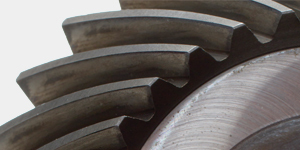 An initial wear, often involving tip blunting through minor fractures (chipping), is followed by a linear, steady-state wear regime dominated by abrasive and adhesive wear. 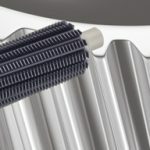 A gradual tip blunting is one of the reasons behind a successively increasing edge temperature and, eventually, a situation of accelerated wear through edge fracture or severe plastic deformation is reached. It is also indicated in Figure 15 that a smoothening of the tool surface and sharpening of the edge will prolong tool life. This is further accentuated by coating. 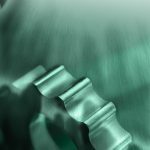 However, the improved wear resistance obtained by coating is often used to increase the productivity rather than to obtain a longer tool life. Table 2 summarizes the wear mechanisms of HSS cutting tools. Normally the tool suffers from a combination of two or more of these mechanisms, and it can be difficult to judge which is dominating. It is also indicated in the table how the different wear mecha-nisms result from a combined effect of properties of work and tool materials as well as cutting parameters. From the demonstrated mechanisms of wear of HSS cutting tools we can draw the conclusion that hardness, heat resistance (hot hardness), and fracture toughness—both macroscopically and microscopically—are the prerequisites of high tool performance. Recent HSS development has focused on the homogeneity and cleanliness of the HSS steel. Through PM technology it is possible to obtain a fine grained, homogeneous structure. However, the authors think that it is possible to further improve the hardness/toughness ration demonstrated in Figure 2. 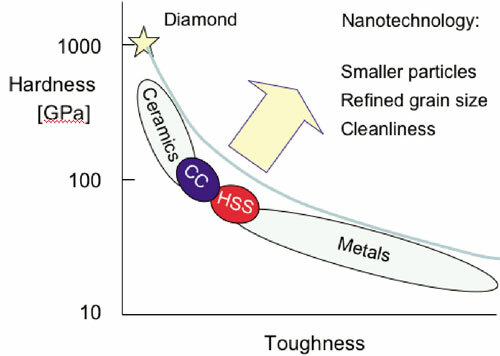 By further reducing the size of the matrix grains and hard phase particles down to the nanometer range (applying nanotechnology) a further step is possible, as illustrated by the general hardness/toughness relation given in Figure 16. 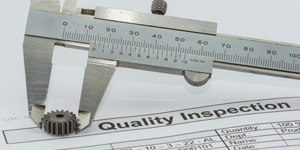 Another means to further improve HSS tool performance is to improve the surface finish, i.e. avoiding deterioration of the superficial HSS material by excessive heat generation. The macroscopic strength and the resistance to edge chipping of HSS materials (Figure 14) is very sensitive to surface defects generated by the surface preparation (see Figure 17) and, consequently, the surface of the cutting tool edge must be accurately prepared in order to avoid premature failure. A smooth tool surface contributes to the resistance against micro cracking and to avoid premature detachment of coatings as demonstrated in Figure 11. 3) Trent, E.M., Metal Cutting. 3rd ed. Oxford: Butterworth-Heineman, 1991. 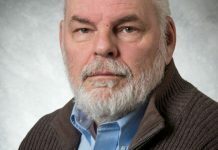 5) Holmberg, K., Matthews, A., Coatings tribology, Properties, techniques and applications in Surface Engineering, Ed: D. Dowson, Elsevier 1994. 7) Lim, S.C., Lee, S.H., Liu, Y.B., Seah, K.H.W., Wear maps for uncoated high-speed steel cutting tools, Wear 170 (1993) 137-144. 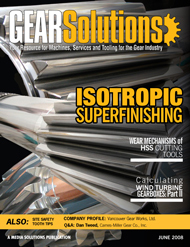 Published courtesy of the Society of Manufacturing Engineers©, ID#TP05PUB53. is at the The Ångström Laboratory at Uppsala University [www.uu.se], Sweden. is at Dalarna University [www.du.se], also in Sweden. Both are professors in materials science.